It’s been a couple of weeks since Love Island finished triumphantly and my god what a rough couple of weeks it’s been. If you’re anything like me you’ll be really struggling to fill the Love Island shaped hole in your life, but it seems like we might not be waiting for long. 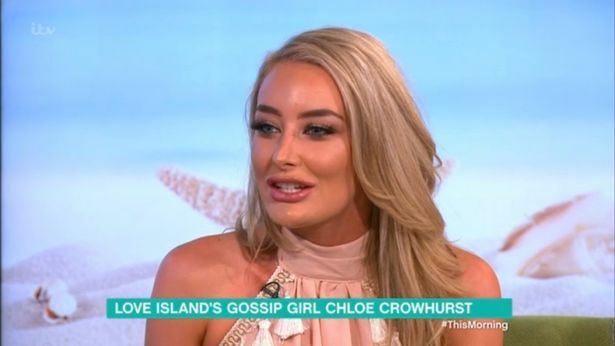 That’s because star of this season’s show, Chloe Crowhurst, has given a mighty clue about the near future of the show. The newly appointed This Morning reporter let slip that This Morning have enjoyed her presence on set so much, they might want her to report on the Winter Love Island. Wait, what?! A Winter Love Island? It makes perfect sense really, Love Island has hit heights this year that even ITV couldn’t have imagined so it’s good business to capitalise on it now while demand is still high. Chloe made the revelation at a quiz night in Essex hosted by her and fellow contestants Nathan Massey and Scott Thomas. I love doing This Morning and they loved having me. There might be something with me coming back as their reporter for Winter Love Island. I’d love to be a presenter on the Winter Love Island series as well, which might work out… Let’s see. This would back up reports by The Daily Star that producers of the show have sent scouts to Tenerife to look at potential locations. This series took place in Mallorca, but in January it will be too cold for the scantily clad contestants. The public have shown they can’t get enough of Love Island and this year has been the show’s ‘watercooler moment’. ITV is really keen to exploit the massive momentum it’s got at the minute and bosses are thinking really big all the time. They run loads of series like TOWIE all year round so why not with a show like this? The show has absolutely smashed viewing ratings compared to Big Brother, so ITV might just have a new reality cash cow on their hands. If it’s as good as this season, then no complaints from us!